Globe Free Viber Offer Launch | iStoryang HaaayTek! Living it up with its latest marketing catch-phrase “Go lang ng Go” Globe Telecom has farther bring its prepaid customers deeper to the mobile internet stream by offering cheaper alternative to calls and chats. 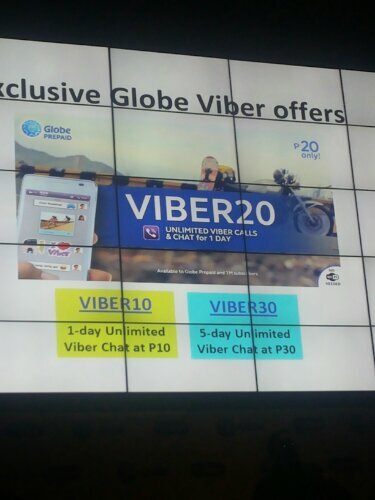 Globe has partnered exclusively with the popular Viber call and chat service. Its prepaid customers can now connect with other Viber users even on the other networks without using WiFi and additional data charges. Globe schemed two plan categories for the new service–the GoUNLI call, text, and Viber combined services and the Viber-only calls and chat services. 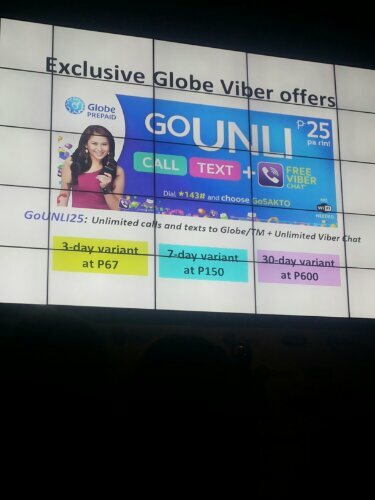 The GoUNLI25 is bundled with unlimited texts and calls to Globe/TM plus unlimited Viber chat for one day. You can extend the usability of the bundle with its three variants at P67 for 3 days; P150 for 7 days; and P600 for 30 days. If you want a Viber-only experience, the Viber20 lets you enjoy the unlimited high-definition voice calls and chat for one day. There’s also the Viber10 variant for unlimited Viber chat for one day and the Viber30 for 5-day unlimited Viber chat. Talmon Marco, CEO of Viber graces Globe's media launch of the new service-Unlimited Viber Calls + Chat this evening at The Fort in BGC. 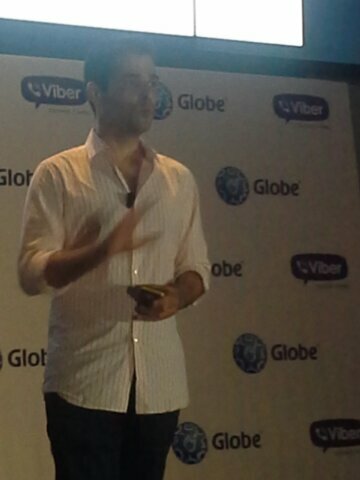 Marco enumerates some of the geatest features of the Viber that are enjoyed by its 200 million users in193 countries. Bithos also revealed the Viber services will also be available to the postpaid subscribers soon.